Authentic Geek! : Geek Sightings #2: Alexander The Great Is A Power Ranger?!? Geek Sightings #2: Alexander The Great Is A Power Ranger?!? If you are a guy and a nerd, you love watching Spike TV's "Deadliest Warrior". They match up great warriors from history (Ninja vs Pirate, anyone??) and then scientifically work out who would win in a fight. 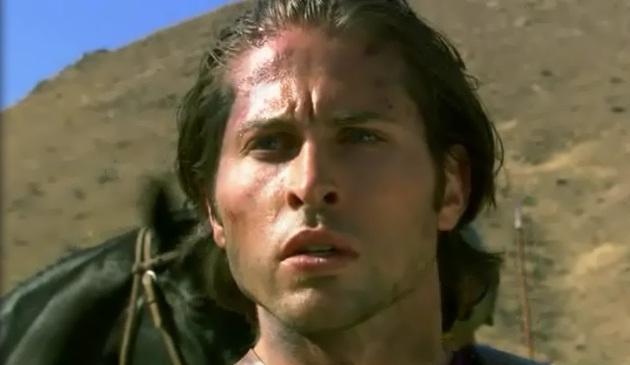 Once again, while I was watching the new episode, I geeked out a bit (just a little, mind you) when I saw Jason Faunt (Wes the Red Ranger from "Power Rangers Time Force") portraying Alexander the Great against Atilla the Hun. Now, I was of course rooting for the Red Time Force Ranger to win. Not because he was a Power Ranger, but because he was portraying Alexander the Great, the dude who redefined 'strategic warfare'. Even though the Hun annihilated Alexander, I thought it was pretty cool a Power Ranger was playing him. I mean if Jason David Frank (Tommy the Green Ranger) can become a MMA fighter (no, seriously, he is! ), then it's not that far a stretch for Mr. Faunt to portray one of the greatest conquerors in history!